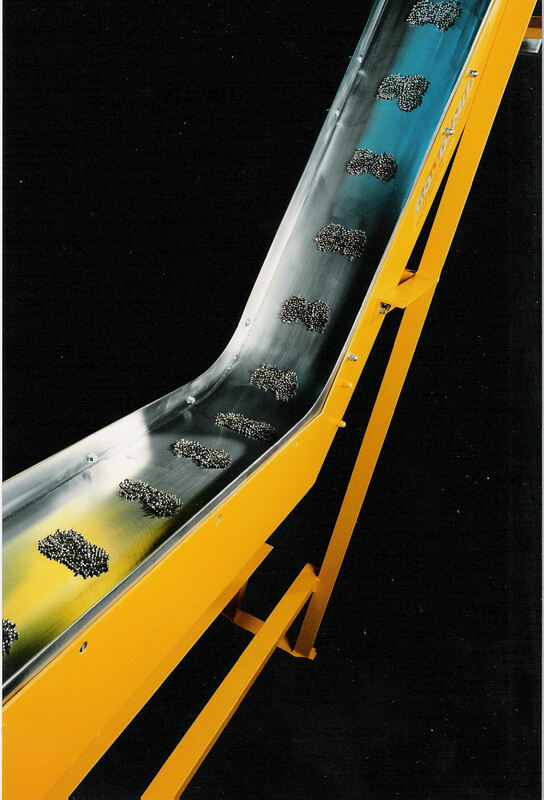 Suitable for transporting ferromagnetic parts such as punch chips, nails, bolts, recycled materials and drilling waste from metal and steel factories and the sheet metal processing industry. 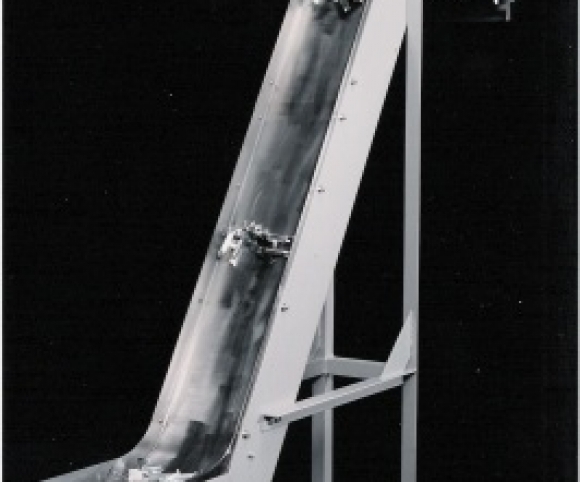 Conveying width: 225 – 575 mm. 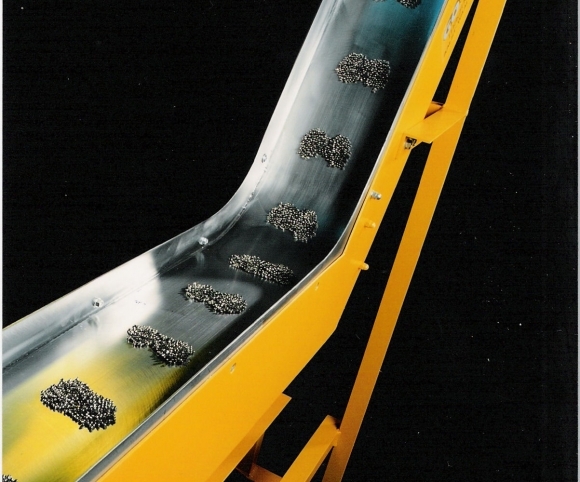 Capacity: 9 – 42 kg/min (punching residues Ø7×1; 18 m/min; magnet distance 600 mm).